Storyblok makes content blocks, simplifying content management even in complex layouts. A content block allows a developer to reuse components in different places and fill them with new content each time as required. The Storyblok company was founded in 2017 with the aim of redefining content Management. Their system makes arrangement of story elements easier than ever before. 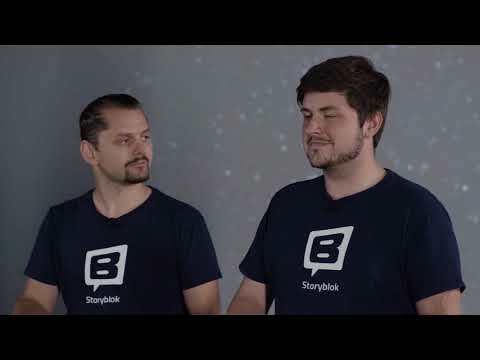 Storyblok GmbH, a Linz start-up, has developed a new API-based content management system (CMS) in the cloud. This special kind of CMS system creates individual content blocks on websites that can be quickly and easily edited at any time – without having to deal with complicated form templates, page structures or design constraints, as the program does all this itself. The Visual Composer feature also allows users a direct preview of the changes that have been made to the website before it goes live. The great advantage of Storyblok is that online content can be managed without the usual updates required for a CRM system. Numerous high profile clients (such as Adidas, Silhouette and Keba) have already been won over by this flexible form of content management.